Well just a short one today as I have a lot on my plate this week, but had a great surprise visit from Jason Paul Michael s of Dime City Cycles in Florida and Cafe Racer TV fame. Its always a good time to meet and have a quick chin-wag about the life and times of Cafe Racer builders etc. 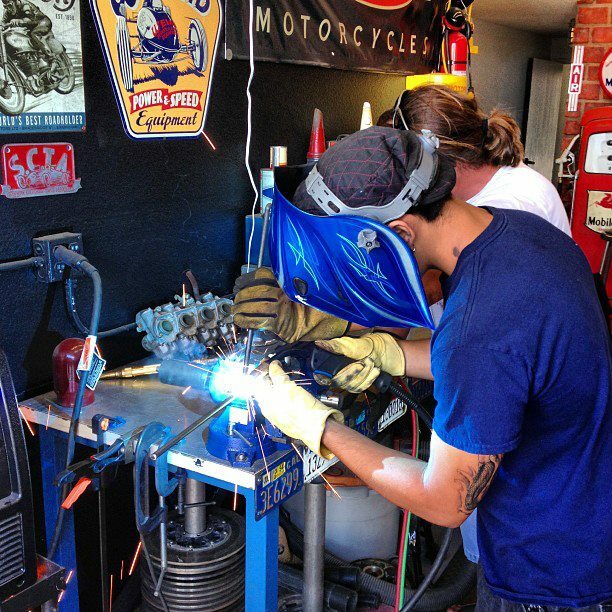 This time we helped him out a little bit and made a side stand for one of their machines, Dakota was there to have a go with his welding skills and he was stoked to meet Jason and the gang. 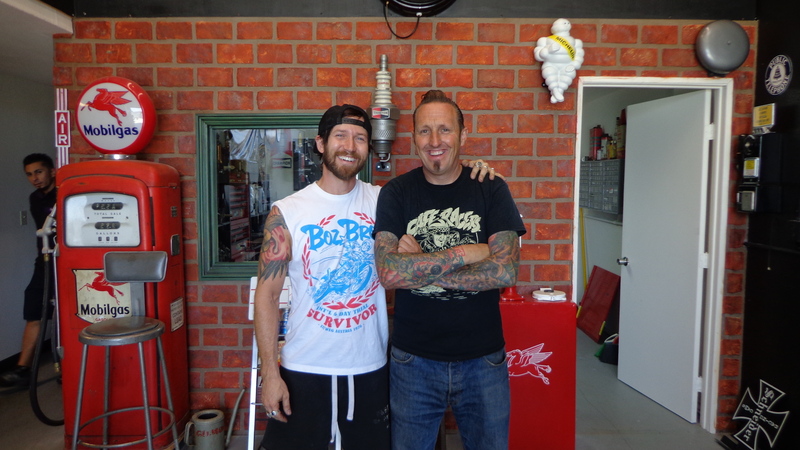 Hope to go and stay with them in Florida at some point and enjoy the lifestyle down there with them at DIME CITY CYCLES. This entry was posted in Blog and tagged 59 club, bonneville, cafe racer, cafe racer tv, cb750, dime city cycles, Honda, sohc 750-4, thruxton, ton up, triton, triumph, vintage motorcycle. Monday! Well, start of a New week.